Sister and brother’s love can never be denied. They play together, work together, go for outing, make plans and fight as well. 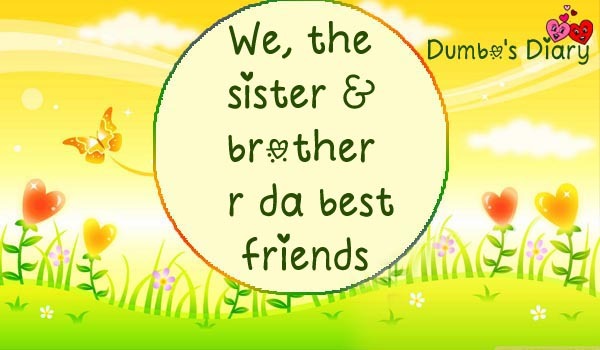 Here’s a love poem about sis & bro love, We sister and brother are the best friends. This poem depicts how they stand by each other through thick & thin. I designed this sis & bro love poetry over images.